L-R Front row: Hila Peled, of AZORIM KWNYC, Shalom & Iris Maidenbaum, of Maidenbaum Property Tax Reduction, Mayor Benjamin Weinstock, Acting Village Justice Segal Blakeman, Trustee Myrna Zisman, Chris McGrath Republican Candidate for State Senate, Missy Miller Republican Candidate NYS Assembly 20th District, Ron Goldman, Village Administrator, Village of Lawrence, Village Administrator Salvatore Evola. L-R Back row: Avi Malul,of AZORIM KWNYC, TOH Councilman Bruce Blakeman, Trustee Ari Brown, Deputy Mayor Ronald Lanzilotta, Mayor of Lawrence Alex Edelman and Trustee Israel Wasser. Alas, our 20th Summer Concert Series finished Tuesday last night, and what a special season it was! The Cameo’s were truly the best! One of the band members found out that a woman in the audience, Chana Uncyk, was a 94-year-old holocaust survivor. So, for their finale, they brought her on stage. Children and adults came up and sat around her. A father placed his baby in her arms, while the Cameo’s dedicated their last song to her: “God Bless the USA.” It was a beautiful moment to witness and remember. A wonderful end to a wonderful night. 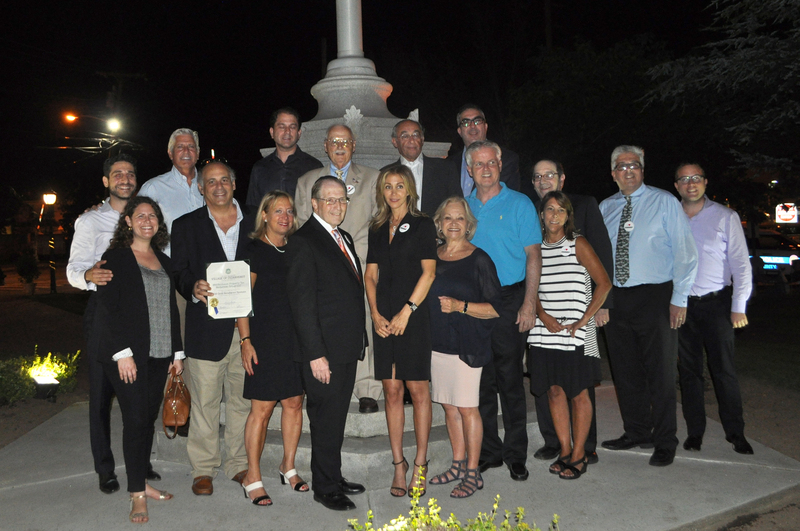 Mayor Benjamin Weinstock and the Board of Trustees, thank our generous sponsors, and talent agent, Barry Brown for the incredible success of this year’s summer concert series. “Without our sponsors we could not have presented these concerts, please show your appreciation by patronizing their businesses. All of our sponsors have played a vital part in making these concerts a reality since the very beginning and I would like to personally thank Tuesday’s concert sponsors: TD Bank, U.S. Flags & Foreign Flags/ Joe & Audrey Candella, Maidenbaum Property Tax Reduction Group, LLC, & Harun Cevahir”.